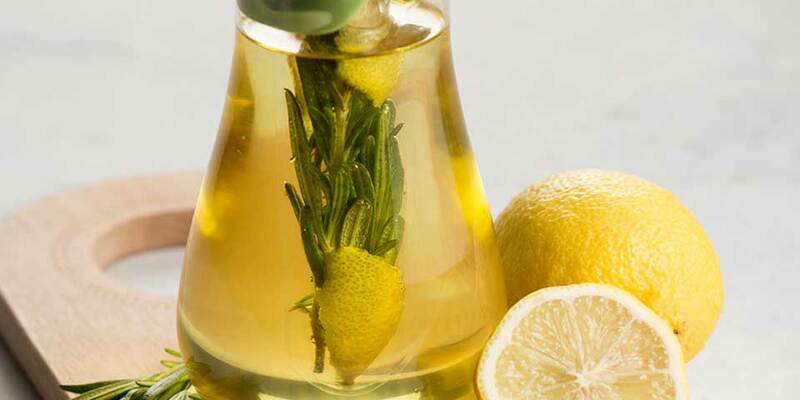 Add lemon strips and rosemary to infuser section of the bottle and then fill with oil. Seal the bottle and infuse in a cool dark place for a few days before using. You should keep your infused oil in the fridge and use within one week as you are using fresh herbs.